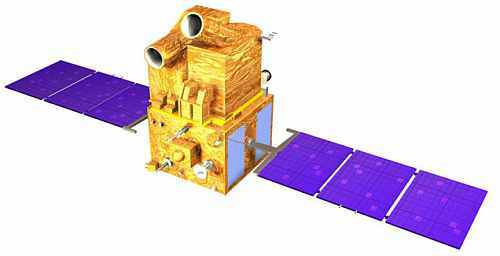 CARTOSAT-1 satellite sensor was built by ISRO (Indian Space Research Organization) which is mainly intended for cartographic applications was launched by the PSLV on May 5, 2005 at Sriharikota, India. 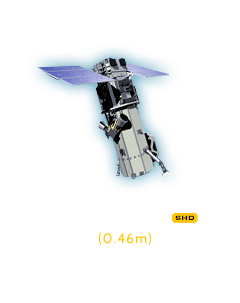 CARTOSAT-1 carries two panchromatic cameras that take black-and-white stereoscopic pictures in the visible region of the electromagnetic spectrum. 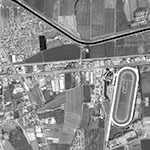 The satellite images have a spatial resolution of 2.5 meter and cover a swath of 30 km. 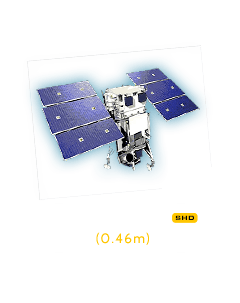 The cameras are mounted on the satellite in such a way that near simultaneous imaging of the same area from two different angles is possible. 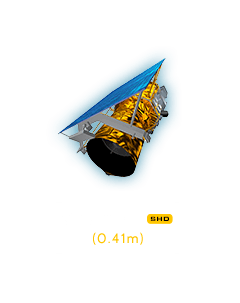 This facilitates the generation of accurate three-dimensional maps. 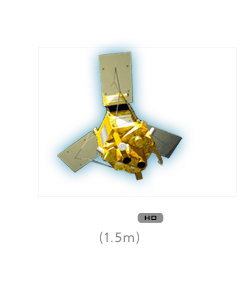 The cameras maneuver across the direction of the satellite's movement to facilitate the imaging of an area more frequently. 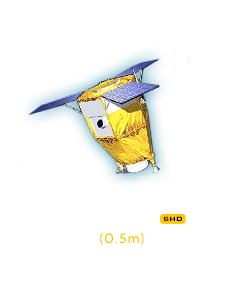 The images taken by CARTOSAT-1 cameras are compressed, encrypted, formatted and transmitted to the ground stations.  CARTOSAT-1 satellite also carries a Solid State Recorder with a capacity of 120 Giga Bits to store the images taken by its cameras. 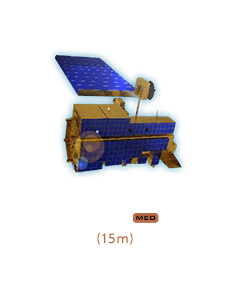 The stored images can be transmitted when the satellite comes within the visibility zone of a ground station. 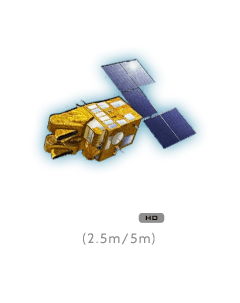 After its separation from the fourth stage of PSLV, CARTOSAT-1 is made to accurately point towards the earth through a series of complex maneuvers. 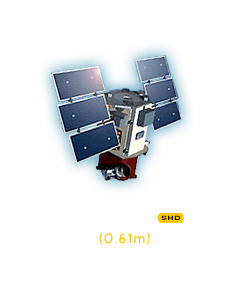 This is followed by a thorough checkout of the satellite, switching on the cameras and fine tuning of the orbit. 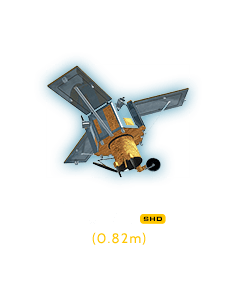 With improved spatial resolution and stereo imaging capability it will enable the generation of Digital Elevation Models (DEMs) and other value added products.  The data from CARTOSAT-1 is expected to provide enhanced inputs for large scale mapping applications and stimulate newer applications in the urban and rural development, land and water resources management, disaster assessment, land cover change detection, relief planning and management, environmental impact assessment and various other Geographical Information Systems (GIS) applications. 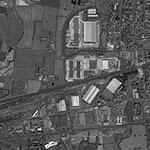 We offer satellite imagery and data from the most technologically advanced satellite sensors. Please choose one to learn more.